We rigorously evaluate PR activity to ensure the right messages are reaching the right people. We don’t just look at coverage volume, retweets or circulation levels – we analyse key message delivery and brand awareness to determine the true impact of your investment. Your potential customers are constantly absorbing information. By gaining media coverage, you build trust and credibility, which gives you a competitive advantage. This PR advantage is amplified when conducted in conjunction with social media activity. In fact, 82% of growing businesses say social media is effective for generating new leads, and 73% are increasing social media spend, according to TNS. • Positioning you as an industry expert, which in turns opens up other PR opportunities. 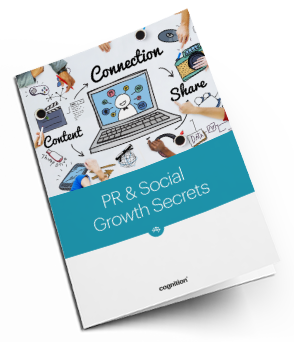 PR & Social Growth Secrets : Decision makers constantly absorb information, how can you make sure they find your business? Most businesses on social only have broadcast strategies – they tweet or post but don’t do much in the way of interaction. This is a missed opportunity. The commercial benefit of social lies in its ability to help you build relationships, and you do this by treating social as a conversation rather than a megaphone. Retweets are only useful insofar as they contribute to your wider commercial objectives. We use social monitoring and measurement tools to determine exactly how your social activity is aiding purchasing decisions. Not only does this help you determine the value of your investment, it gives you invaluable insight into customer behaviour. Journalists think of the information they publish as stories that serve the public interest. Businesses put out information to generate sales and awareness. PR is the art of shaping what you want prospects to know into stories journalists want to use. We work in a vast array of sectors across national, local, broadcast, business and consumer media to boost your authority. Reputations: they take years to establish but can be ruined in a day. That’s why your business needs to be prepared. We’re well versed in how to slow the pace of a story to help diffuse it, and we understand how social media has changed the game. All of which means we’ll make sure a crisis does as little damage as possible. 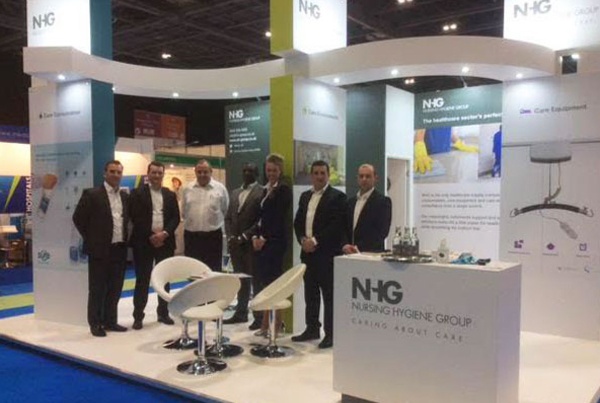 For Nursing Hygiene Group our coverage highlights have included in-depth, authored feature articles with some of the sector’s leading publications including Tomorrow’s Care, Care Home Management and Healthcare Design.